Scoopy Doo makes life easier and more enjoyable for pet owners so they can spend more time playing with, rather than cleaning up after, their beloved pets. We are registered, bonded, insured and licensed in the City of Winnipeg and Province of Manitoba. Who Would Hire a Dog Waste Removal Company? Many people make their first call to Scoopy Doo after the snow melts and they realize they need help with a problem that has become visible and hard to ignore. Often these spring cleanup clients are so pleased with our service that they decide they can’t live without a regular, weekly visit from one of our team members. If you arrange for a regular, weekly visit, our team will keep your yard looking nice and smelling nice, and safe for your family and pets. It’s easy to join Scoopy Doo. There is no contract to sign and usually all arrangements can be made over the phone. Just call us and we’ll ask you some questions that will give us the information we need to meet your needs. We will keep your information on file so that we can keep our staff informed about your specific requirements and instructions. We will add you to our regular schedule and give you our guarantee that we will visit your yard on the promised day. On our first visit we ask to be paid for the first month in advance. We can send your invoice by email to be environmentally friendly, or send it by regular mail. We send all of our new clients a letter that welcomes them to Scoopy Doo, tells them what they can expect from us, and reminds them to lock their dog inside their house or in a pen on our scheduled day to ensure the safety of their pet and our staff. Who Does the Actual Cleanup? Your yard will be cleaned by one of our team members, who has been trained in the proper pick-up and disposal of dog waste.  In accordance with Scoopy Doo’s service protocol, our staff will put all dog waste into two extra-strength garbage bags, tie the bags securely, and take them away for proper disposal. No more mess, smell or inconvenience for you! In addition to knowing their jobs, our team members know dogs. They own and love pets and know how to interact with them. They will watch for any signs of illness, unusual digestion, blood, foreign objects, parasites or worms in your dog's waste and tell you if things just don’t look right. All of our team members are bonded and insured for your protection. We know that viruses and parasites are easily spread from one dog to another. That’s why we are so particular about cleanliness. When Scoopy Doo staff finish cleaning one yard they will disinfect their tools, equipment, and shoes before climbing into their truck and heading to the next yard. By following this strict disinfection protocol, we ensure that your yard stays clean and your dog stays healthy. For a unique gift… give freedom from a dog owner’s worst chore: A Scoopy Doo gift certificate! Moving? Welcome to your new home! We got this.